দেখে নিন বাংলা ছবির ইতিহাসে সবচেয়ে বড় ফিল্ম পোস্টারটিকে ! 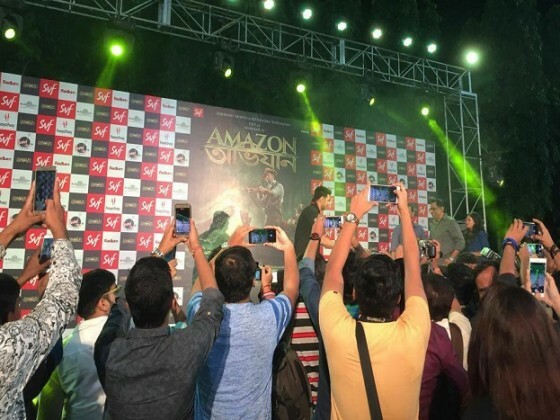 'Amazon Obhijaan' poster launched today. 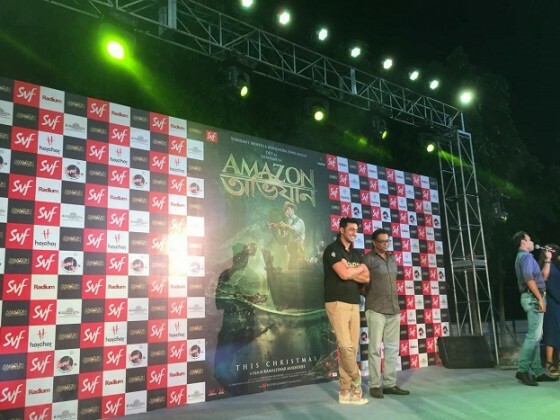 'Amazon Obhijaan' poster launched today. The film releasing on 22nd December. 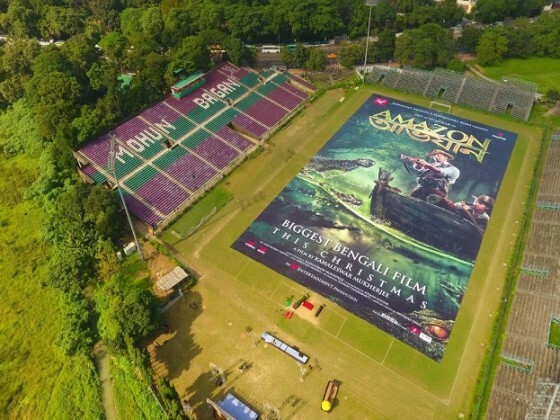 Scalling at a whopping 60,800 sq.ft ( 5640 sq.meters) The Amazon Obhijaan poster unveiled at Mohun Bagan ground on Saturday. 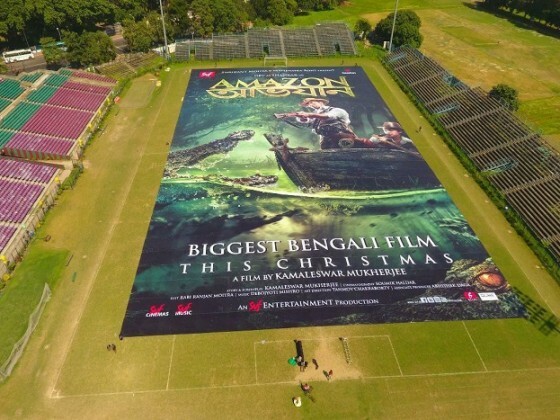 This gigantic poster comfortably breaks the film poster record set by Baahubali which was 51,600 sq ft ( 4794 sq.meters). A large crowd flocked to the football ground to see the massive poster of the film. 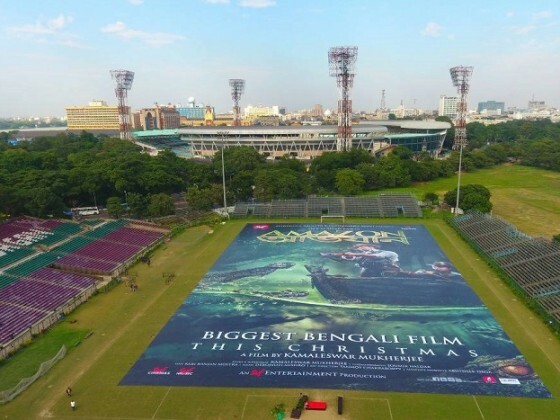 Amazon Obhijaan film poster is 97 meter long (320 feet) and 58 meter wide (190 feet) if placed vertically would be taller than Big ben (96 meters) or Qutub Minar ( 73 meters).